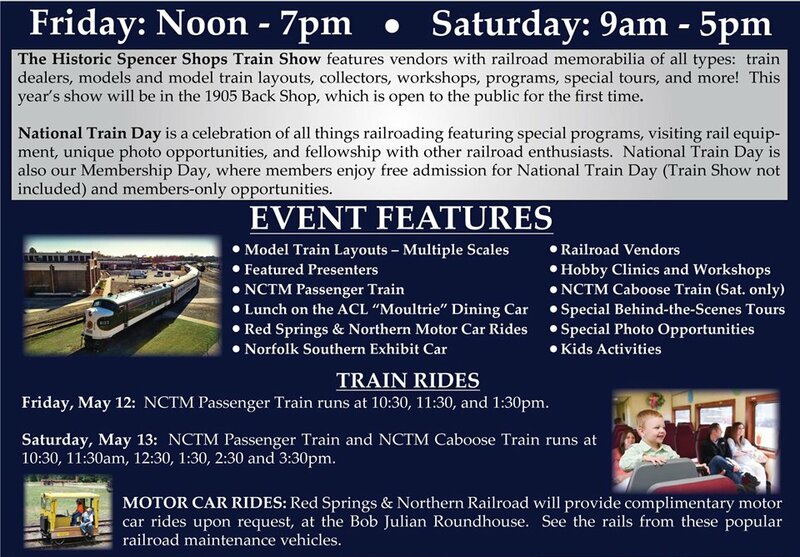 National Train Day at the N.C. Transportation Museum located in Spencer, North Carolina will be held on Friday and Saturday, May 12 and 13. The event will feature passenger and caboose train rides. 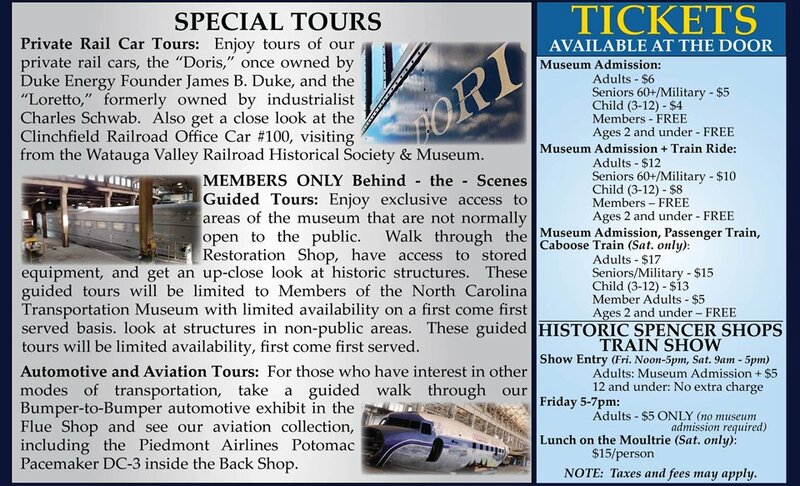 The N.C. Transportation Museum will also feature Red Springs & Northern motor car rides. The A-6 motor car will be there to provide rides to attendees. Members are also welcome to bring their motor cars to provide rides to attendees. We hope you can join us for a fun day at Spencer. More information is available at http://www.nctrans.org/.